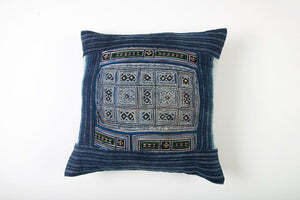 Add stylish & unique expression to your home with these beautiful Hmong tribal cushions. 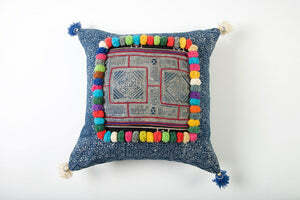 Each cushion is handmade in hardwearing Thai cotton and adorned with small pompoms at each corner. 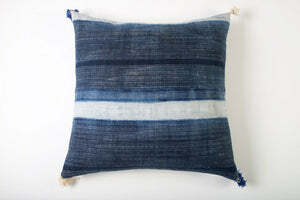 The primary tone is indigo with splashes of white. 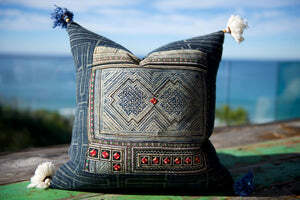 The tribal motif will vary from cushion to cushion. 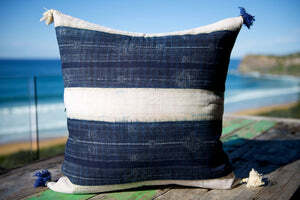 No two of these cushions are exactly the same, albeit that there is less variation in appearance between examples from this cushion style compared with the vintage-swatch cushions for example. 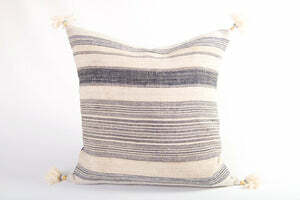 Beyond their eye-catching appeal, there is a tactile beauty in these cushions...they feel timeless. 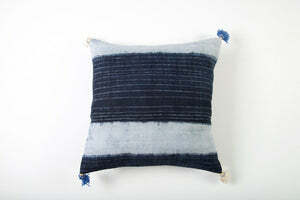 We've yet to see a base colour that these indigo cushions can't enhance. 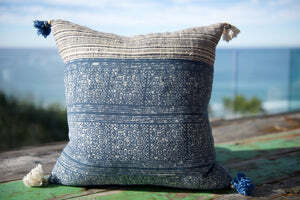 And we recommend mixing up the various styles and sizes of Hmong cushions - the variety comes together in a compelling harmony. 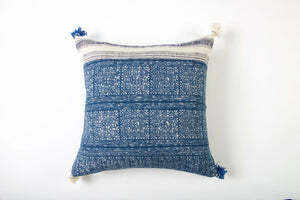 Cushion Cover Size 45cm x 45cm.